Cereals, eggs and toast are the easiest breakfast option for most office goers – the busy morning hours leave no time to cook and enjoy an elaborate breakfast. At the same time, one does get bored with the predictable menu and needs something different and refreshing to kick start that Good Day! 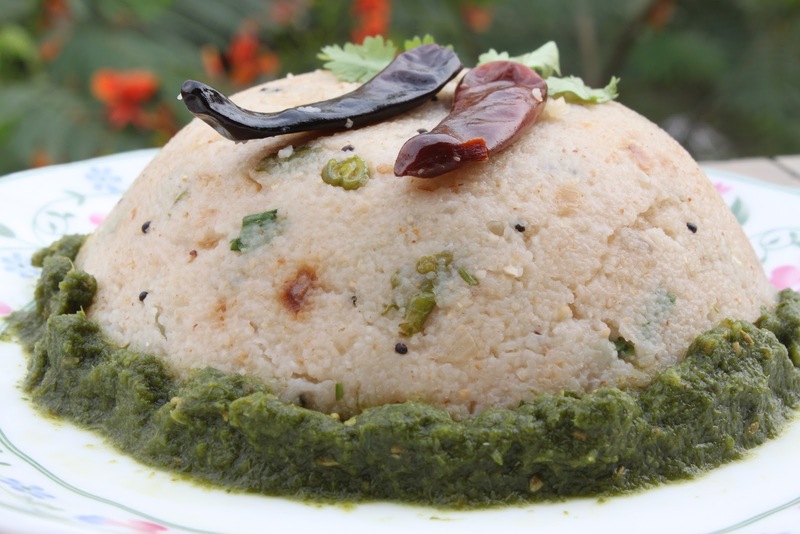 Sooji (Semolina) Upma is one of my favorite breakfast choices for its a quick and delicious option – specially on a wet or cold morning when you want something hot and tangy! One can also roast Sooji and keep it’s premix for later use. The Upma has also doubled up for many of my dinners on evenings when I am tired after a hectic day and don’t feel up to cooking an entire meal. If you add veggies to Sooji and keep the red chillies and peanuts out, it could turn out to be a superbly nutritious breakfast for babies (9-10 month +), toddlers and kids. It tastes best with coriander chutney! !